So I had to go and see the family in New York so I figured I get a rental car to drive up there. Where else would I go besides Rental Car Momma to get an unbeatable rate? I got to use their online coupons in order to book my dream car. 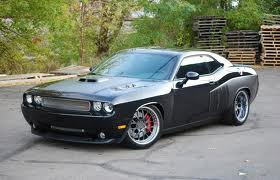 It was a Dodge Challenger srt-8. That thing was awesome. It had a huge v8 that sang beautifully whenever you stepped on the throttle. You will surely fall in love with this machine if you ever find yourself behind the wheel. You will want to get the most out of your rental car so make sure you book it ahead of time and choose the company that best suits you. We started out in Orlando, Florida and we drove up North to reach New York in one day. It was a long trip, but we did make it nonetheless. You wouldn't beleive the amazing scenery we saw while trekking north. I got to see stunning swamplands all the way to the northern mountains of the US. You will surely be amazed when driving this route. We soon made it in about 10 hours of fierce driving. I never found myself this far North in America so it was pretty cool to see the "big apple" for myself. When we finally got into town we had to meet up with my uncle since he was getting married and help arrange the marriage hall for everyone. It was a couple days worth of work and we knocked it out and then we had fun at the reception. I had the time of my life, and it wasn't even my wedding. I'll tell ya, there is nothing else like a good wedding with some BBQ and beer. It would put a smile on anyone's face. Anyway the time came to say goodbye and set out in our srt-8 to head south and arrive in Orlando once again. We drove a little slower this time to enjoy the road and the view. We stopped and stayed at a hotel over night to make things easier on us. When we then hit the road again we put the challenger to the test to see what it was made of, and it did nothing short of pleasing me.